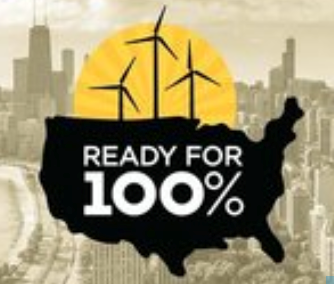 Ready for 100 is a national campaign spearheaded by The Sierra Club to transition cities and communities across the country to 100% clean, renewable energy. Thanks to the efforts of The Sierra Club and the Sarasota Climate Justice Coalition, on June 19, 2017 the Sarasota City Commission adopted a community-wide goal to power the City of Sarasota with 100 percent clean, renewable energy by 2045. The Commission also voted to adopt a goal of powering all municipal operations in the city with 100 percent renewable energy by 2030 and at least 50 percent by 2024. Sarasota joins St. Petersburg as the only other Florida communities to make this commitment. Click this link for information on Ready for 100 projects being planned for 2018. In 2016, the League of Women Voters partnered with Florida Sun (now Solar United Neighbors of Florida) to promote renewable solar energy through solar co-ops. Homeowners join co-ops to learn, save money and get assistance selecting qualified installers. Co-op members are not obligated to buy. Sarasota – In 2017 our church co-sponsored the Sarasota County Solar Co-Op. That co-op is closed. In 2018 the League of Women’s Voters is starting a second co-op in Sarasota County on January 8. Click the link for more information on the status of this co-op.